SmileWay Clinic practices are headed by Dr. Jon, the principal and practice owner. He graduated from Russia Volgograd State Medical University in 2007, obtained the title of “Doctor of Stomatology”. A person who thinks very different, always looking to improve himself and others, loves what he does and helping others. After his qualification, he worked for many years for the Malaysian Government in the general hospitals and clinics. While doing that at the same time he work part time at the private clinics. In those years he has visit multiple places doing voluntary dentistry work and giving dental talks to the public. 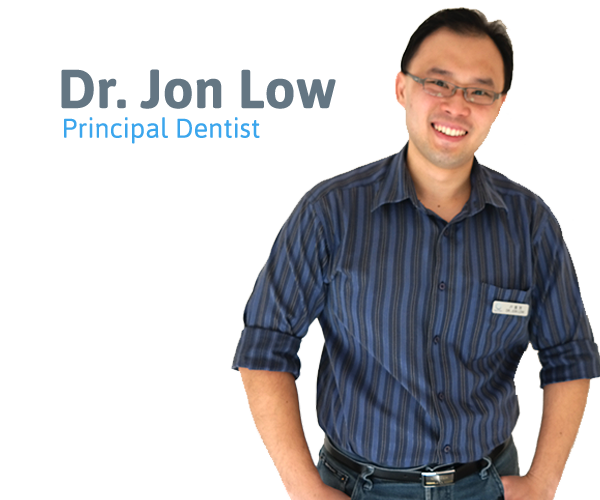 Dr. Jon is always looking to improve himself all the time; additionally he finished his 2 years of Dental Implant courses, and multiple courses on Dental Cosmetics and Aesthetics. He has been practicing cosmetic dentistry and dental implants for years. He loves practicing Cosmetic, Aesthetics, and Implant dentistry as he believes everyone deserves great smiles and everyone can afford great smiles. That is why he has built a treatment protocol and program “Smile Design makeover” here in Smileway Clinic. After years of practicing in Government and Private Practice, He decided to venture on his own. In his life he follows much philosophy teachings, but the most important philosophy in all is “Don’t do unto others what you don’t want others to do unto you.” In all Smileway Practices that is the philosophy everyone follows. Dr. Belinda is a Doctor of Dental Surgery from Malaysia’s MAHSA University. Graduated in 2015, she is very dedicated and passionate towards delivering gentle and quality care to her patients – she is always eager to learn, develop and refine her skills further to be able to deliver the best care she can to her patients. After graduation, she served the Malaysian Ministry of Health in general hospital and clinics, while also developing her skills part-time in private clinics. She enjoys working with children, and believes in delivering gentle but excellent dental care to all her patients. She enjoys practising cosmetic dentistry, wisdom teeth removal and prosthetic dentistry. Dr. Belinda has always been interested in art as well as science, which meant dentistry was the perfect career for her because dentistry – especially, aesthetic and cosmetic dentistry – is a mix of both artistic skills and knowledge in health science. With a special interest in aesthetic dentistry, she often attends courses and practices on the best methods and newest ways to design and provide the most beautiful and functional smiles for her patients. Dr Jaswinder obtained his dental degree from the National University of Malaysia in the year 2006. He then served the Ministry of Health Malaysia as a dental officer for 5 years before completing his specialization training in the field of Oral and Maxillofacial Surgery at the University of Science Malaysia in 2016. During his postgraduate training, he passed the membership exam from the Royal College of Surgeons Edinburgh in 2013 and was subsequently admitted as a Fellow of the Royal Australasian College of Dental Surgeons in 2016. Currently, Dr Jaswinder is a specialist Oral and Maxillofacial Surgeon with the Ministry of Health Malaysia who provides an extensive range of oral and maxillofacial surgery services which include maxillofacial trauma, pathology, dentofacial deformities with special interest in Orthognathic surgery, removal of impacted wisdom teeth and placement of dental implants. Dr Jaswinder participates in various local and international conferences in view of providing current and up to date care for his patients. He is a member of the Malaysian Association of Oral and Maxillofacial Surgeons and the Malaysian Dental Association.